There’s a special kind of chaos we reserve just for Sundays in the Wallace house. We don’t do it on purpose. It just happens. This morning my husband had to leave early to help set up the sanctuary. Before he left he peeked into our bedroom to say goodbye. I had just gotten the boys out of the tub. I was standing in the middle of our bedroom with four little naked boys, ages 1-5, running around me in circles screaming. Their church clothes were in a pile in the corner. I was shoving a granola bar and coffee into my mouth at the same time to gear up for round two. “I’m taking off,” he said hesitantly, obviously wondering if he should really leave. “We’ll get there when we get there,” I said. “If we get there,” I thought. Sundays are tough for moms. No matter how hard I try on Saturday night, I’m never quite “prepared” for Sunday. Sometimes I’m able to do some food prep. Once in a while I can iron clothes. But then Sunday morning comes and stuff just happens. My own expectations make it even harder. “This isn’t how it’s supposed to be,” I hear myself saying. “Sunday is a day to focus on God and reset our minds and hearts for the week.” When it winds up being the most chaotic day of all, we feel like failures. We feel judged by others. One day a dear friend who is a grandma said something to me that brought instant relief. “The Lord’s Day is a day of rest and gladness – unless you’re a mom. Then it’s a day of ‘rush and madness. '” Just hearing someone acknowledge the tough reality of it made me feel so much better. She wasn’t judging me. She was sympathizing. One time another friend asked me what I did when I got home from church. “I did the laundry,” I said. She rolled her eyes and said, “Oh come on, Sara. You’re supposed to take a break!” I guess I forgot to tell the kids to take a break from making dirty laundry. Jesus said, “What man is there among you who has a sheep, and if it falls into a pit on the Sabbath, will he not take hold of it and lift it out (Matthew 12:11)?” So I say, which one of you moms, if your washing machine is filled with peed bedding and it is stinking up the house, will not start the laundry? Yes, unfortunately, even on a Sunday. We need the Lord’s Day. Young motherhood is a particularly vulnerable stage. We long for fellowship with God and with God’s people to help us stay sane. I sympathize with David who said, “I was glad when they said to me, ‘Let us go to the house of the LORD (Psalm 122:1). 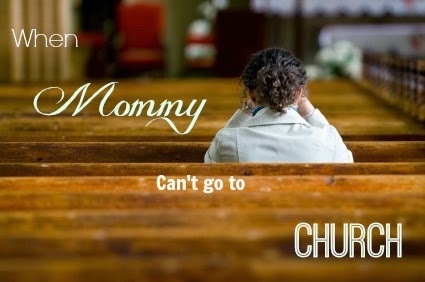 '” But how many Sundays do moms miss church due to sick kids, morning sickness, newborns, etc? I remember my first Sunday home with baby number four. My husband took the other kids to church so I could rest. I tuned into the live stream of the sermon and I held my baby and sobbed, staring at the backs of everyone’s heads and wishing I could be there. I was spiritually, physically, and emotionally drained. And I couldn’t go to church. But God had not forgotten me. He wasn’t present only in that sanctuary and not at home with me. I was tending to the little baby He gave me and He was tending to my heart. He was providing special graces for me, whether I knew it at the time or not. With the little bit of retrospect I’ve gained so far I can honestly say that He has fed me with His word and comforted me with His Holy Spirit during times when life was so crazy I thought I couldn’t possibly be growing spiritually. But I was. That’s not to say that sermon streaming and Sundays spent in the cry room are a substitute for church. But in seasons of life when we can’t participate in church the way we would like to, God does not neglect our spiritual needs. “Like a shepherd He will tend His flock. In His arm He will gather the lambs and carry them in His bosom; He will gently lead the nursing ewes (Isaiah 40:11).” I’ve been a “nursing ewe” for five years straight. I am so thankful that my God is compassionate. There are Sundays I can’t remember one word of the sermon because of the squirming toddler on my lap. There are other sermons that will stick with me forever because of that squirming toddler on my lap. I have to be so much more intentional about listening and storing it in my heart for later because those moments of clarity are few and far between. 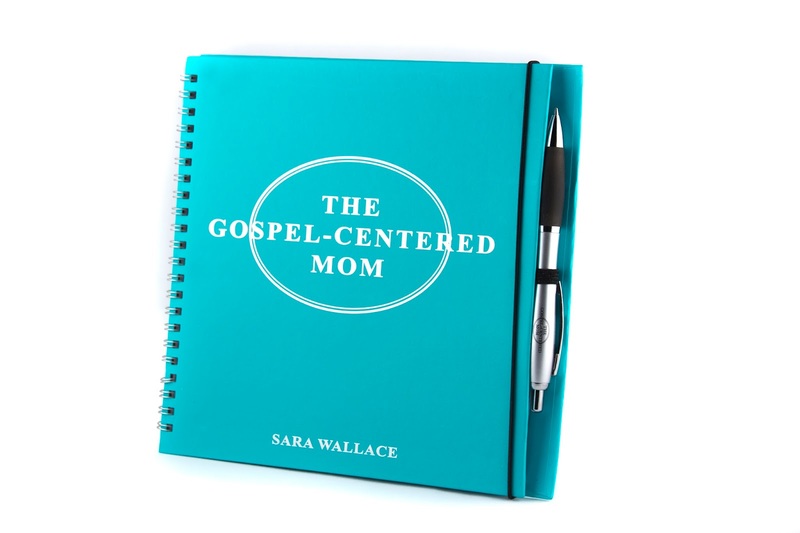 Are you frustrated with the state of your Sundays, moms? God has not forgotten you. Nor is He frowning at you, telling you to get your act together. I’m not going to tell you to do anything new. I’m not here to tell you to set your alarm earlier or to lay out their clothes the night before. I just want to remind you (as I remind myself) that you are loved. The same faithfulness that causes the sun to rise and set each day also gently closes one season of your life and opens a new one. Look beyond the chaos and see a special kind of grace, tailor made for you during this phase of life. h,I am a mother to 4,age 7 & under so I really know what your talking about,it helped to read this,thanks. I have a question though,should your husband leave you in a highly difficult situation to go & relieve the church, should he be leaving one part of the church who is in difficulty,you, to go help the other part of the church who could probably get another member who does not have such demands as 4 children 5 & under.I think your husband feeling hesitant maybe for a reason. this happens a lot in churches & I want to understand if in fact there is a logical explanation for this so i would appreciate your help,thanks. Thanks for your comment! We are in a unique situation in that my husband and I have committed ourselves to helping start a brand new church plant. We are receiving incredible blessings in the midst of being called to serve extra during this season. It really comes down to communication. Husbands and wives need to be on the same page in terms of their expectations of each other, with the goal of “outserving” one another. Hope that helps! Thanks for this. Sometimes Sunday morning can be so hard and I really haven't figured out why. We get up and have to be somewhere 5 days a week but for some reason Sunday morning is the most difficult for me. It could have to do with the fact that my sweet 4 year old doesn't like going to childrens church during the sermon and insists on staying with us but them loudly announces to the whole room usually during and very quiet part of the sermon that she needs to go pee! Sometimes it's hard to see God it's those moments. Thanks, Erin! Glad it resonated with you. Allie, I totally get it. Sometimes I think there is a spiritual element to the extra struggle we feel on Sundays. The enemy wants to sabotage it for us! But God is sovereign and gives the grace we need. Thanks for sharing! This was balm for my soul tonight. We are expecting a new baby; my current youngest is five. Since we've been out of this most difficult phase for a while, I've forgotten how hard it can to be feel left out. Thank you for these words from scripture that I can remember and cling to when I get to that difficult place again. I'm so glad it spoke to you, Kay! I will pray for you and your new baby for a smooth transition. Thank you for writing this and making it public. Every Sunday is a struggle. I miss so much… sermons and fellowship, and I constantly worry about my children disrupting others during worship. They aren't verbally loud, but its constant moving, and making noise with whatever they can get their hands on. Plus, they can't resist punching each other if they get near each other. I usually never retain the service. I have expressed the struggle with some other moms in church, but they are all older, and it's been awhile since their kids were 3 and 5. No one really ever knows what to say, other than, it happens, they'll grow out of it. Meanwhile, I'm struggling with my faith, and none of it is going to make it better. Anyway, glad to read this. Mrs. L, thanks for your comment. You are right – this stage can feel very isolating because it goes by so fast and moms who are not in this stage don't always remember how difficult it is. But God hasn't forgotten. He has a special grace for you to persevere through this short intense stage of difficult Sundays. You might come home from church feeling flustered, not fed, and discouraged, but God says, “Well done, good and faithful servant.” That's what we can cling to if we are trusting Him.